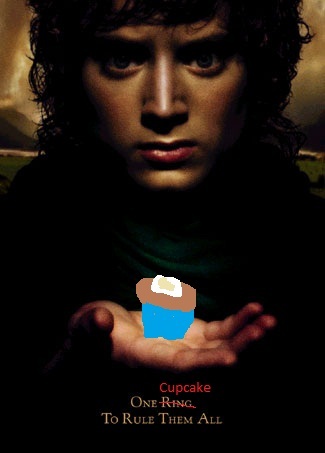 One cupcake to rule them all! I won't bore you with stories about how a certain portion of my life has been dedicated to searching out and locating ways to eat chocolate with chili pepper. They're uninteresting stories about mixing soy chocolate ice cream with Tabasco, or baking dozens of chocolate cookies till I figured out how much chili powder to add to get that kick at the end. Some flavors just really speak to certain palettes, and mine loves dark chocolate with a dash of cayenne. If someone ever made a master list or database of Annie's favorite foods, Mexican Hot Chocolate would have its own category/folder/color code, depending on how they choose to record this data. Because really, there's so much you can do with Mexican Hot Chocolate: beverages, frozen treats, baked goods, candy. I love them all. I'm going to cut myself off here before I start on a tangent wondering why someone would need such a database, and if that information would be used for good or evil. For the record - I prefer good to evil. I also prefer that you all make these precious cupcakes this weekend and send me one. I'll be expecting those shortly for second breakfast, elevenses, and/or afternoon tea. Fill your cupcake pan with cupcake papers/liners. Sift Cocoa Powder, Flour, Baking Soda, Baking Powder, Salt, Chili Powder, Nutmeg and Cinnamon in a large bowl. In another bowl, mix Soy Milk and Vinegar. Let sit for around a minute. With an electric hand mixer, blend Maple Syrup, Orange Juice, Vanilla and Sugar into the Flour Mix until smooth. Then, blend in the Soy Milk and Vinegar. Blend these for around 2 minutes, turning the bowl to get some air into the mix and getting any ingredients that are stuck to the sides. With a ladle, fill each cupcake liner in the pan about 3/4 of the way. 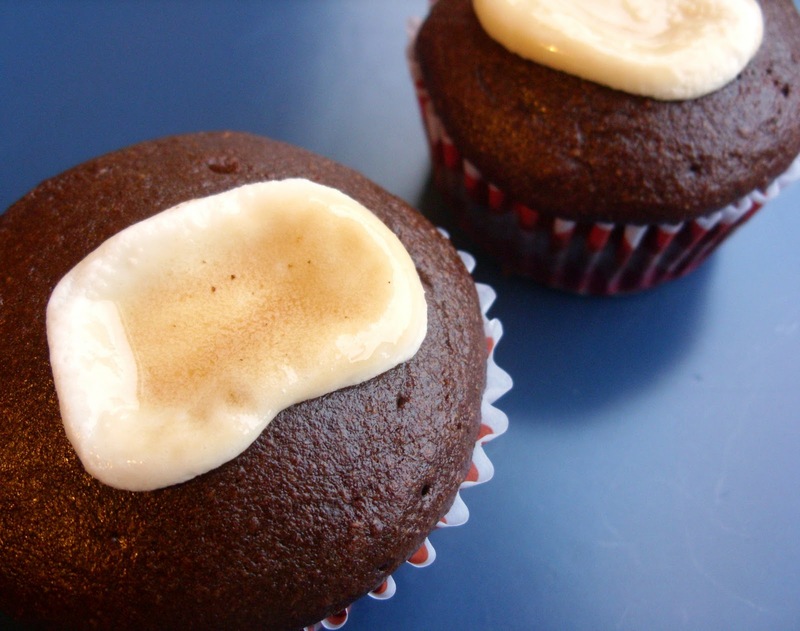 Take your Vegan Marshmallows and press them into the top of each cupcake. Now this is important: the Marshmallows will melt. So, make sure the Marshmallows are in the cupcake deep enough that only one side is exposed. That way when they melt, they make a little pool of marshmallow that will cool and harden again rather than melt down the side of the cupcake. Bake the cupcakes for 20-25 minutes. Check on them often. Remove from the oven when you can remove a tooth pick with out any Chocolate batter from the center; you will have melted Marshmallow. Then, set your oven to broil. Take your Cupcake pan and move it to the broiler for 30 seconds to "Roast" your Marshmallows. Once they have a nice golden coating, they're ready to cool and enjoy. If you haven't already, I suggest you try these cookies. They vegan and, in my opinion, the perfect marriage between chocolate and cayenne pepper. Finally! 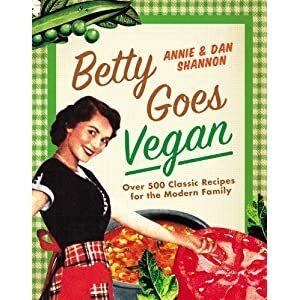 Betty Goes Vegan is available for Pre-Sale! $3 to $5 of every purchase goes to The Shannons' grocery bill! Simplest Red Fruit Salad ever & some of our favorite Summertime recipes! That doesn't mean you shouldn't share our site! Repost till you drop!